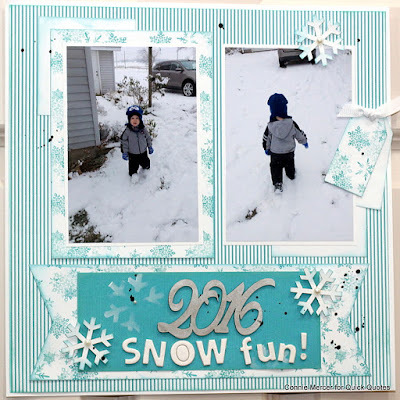 Blog Quick Quotes: January Club Q with Connie! January Club Q with Connie! Hi, Connie here with a couple of scrapbook pages using pieces from the Club Q January Kit by Quick Quotes. 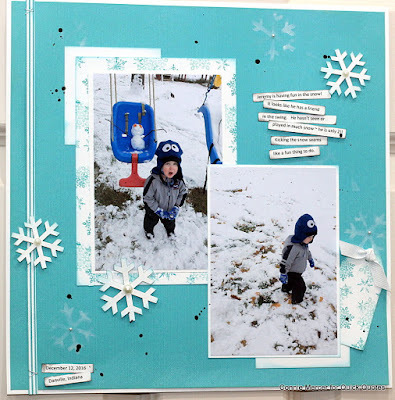 The pages go together and tell a story of Jeremy playing in the snow. 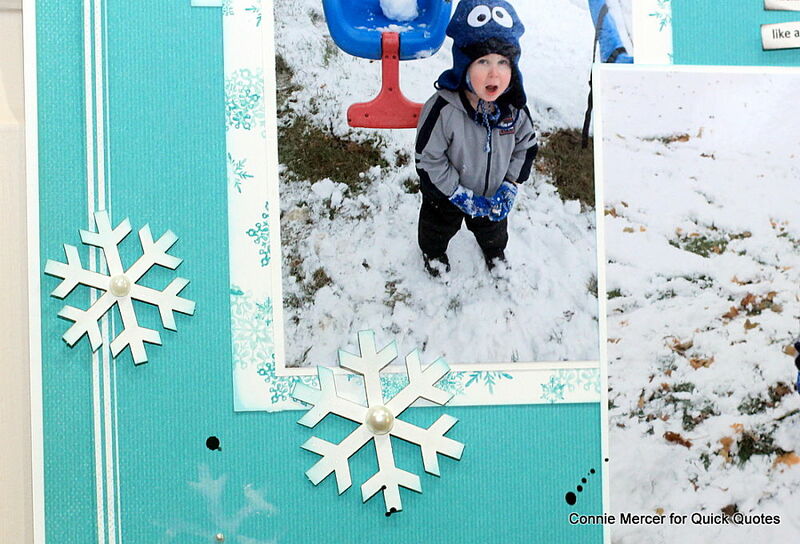 He is only 2 years old so he hasn't played in the snow very much. 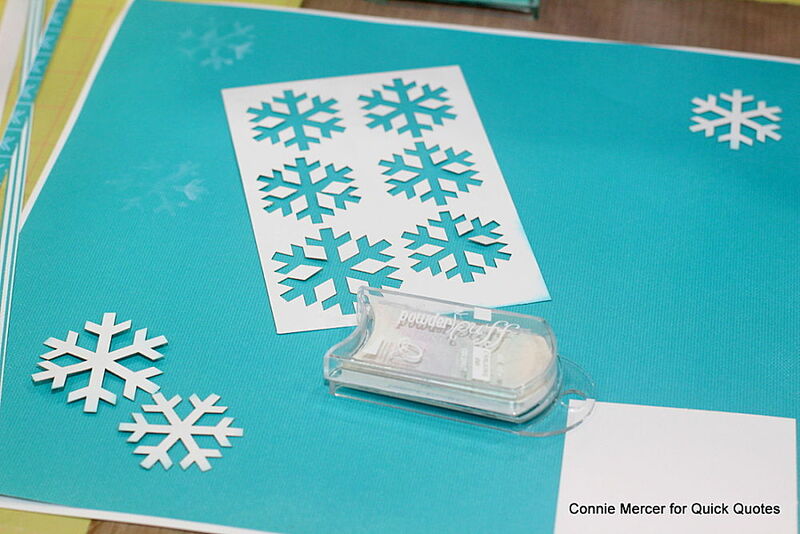 Use the negative from the snowflake die cut sheet, that comes in the kit, as a stencil. Use PowderPuff Chalk Ink for color. 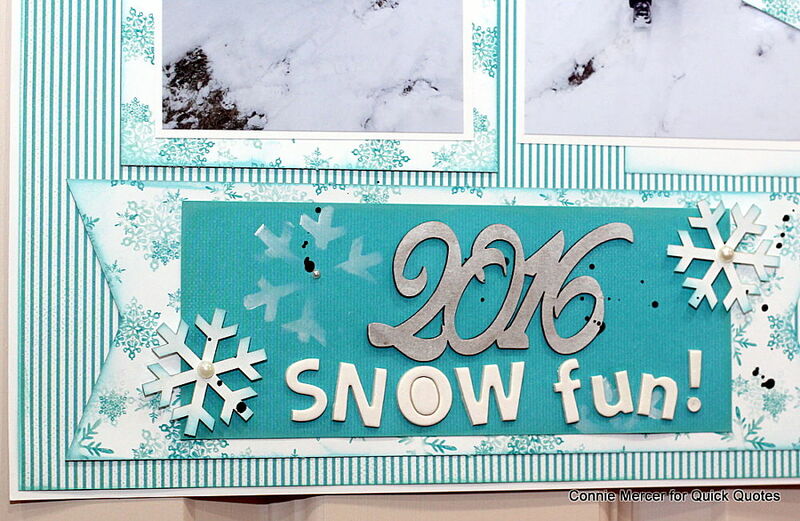 Coconut white is a great looking color to use for the snowflake. 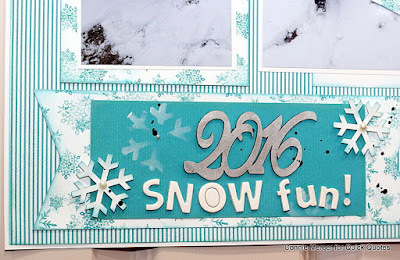 The chipboard year is also colored with PowderPuff Chalk Ink. 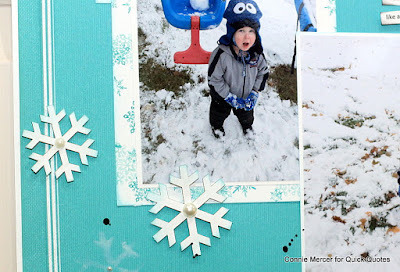 So easy and adds great coverage to the chipboard piece.